Our Giro d’Italia package is designed for cycling enthusiasts who want to immerse themselves in the history and culture of everything Italian. During this trip you get caught up in the excitement of the Giro and will become one of the “tifosi” on the side of the road – cheering on the best cyclists in the world. But you too will ride the epic rides and experience first-hand the thrill of pedalling through the Italian countryside filled with vineyards, and over the cobbles of medieval villages. This is a very special and exclusive trip for a small group of cyclists who will be accompanied by several guides and a support van while you ride. You will ride portions of the Giro route and be close to all the action when the pro peloton comes by. For cyclists passionate about racing and about Italian culture this experience will be the thrill of a lifetime. With our experienced local team of hoteliers and guides you can be assured of quality hotels, smooth transfers, special Giro stage access to be close to the action, and of course a cycling holiday that you will talk about for years to come..
23rd May – Stage 14: Treviso – Valdobbiadene. Ride of the day: 50km ride through the Prosecco wine region stopping to watch the riders pass through during the individual time trial. 24th May – Stage 15: Marostica – Madonna di Campiglio. Ride of the day: 105km ride from the start in Marostica to watch the riders on the climb up Monte Grappa – one of the most beautiful mountains in all of Italy. 25th May – Transfer day. Transfer to Lake Garda to the Garda Bike Hotel. Ride of the day: 70km ride over a panoramic route in to the hills above Lake Garda. 26th May – Lake Garda. Ride of the day: 80km ride through the rustic vineyards of Valpolicella and beyond to the city of Verona riding through the historic streets to the Arena, a Roman Amphitheatre. Followed by a gentle route back following the Adige River. 27th May – Lake Garda. Ride of the day: 130km ride to take on the epic challenge of Monte Baldo, a tough 22km 2000 metre ascent. This climb has been included several times in previous Giro d’Italia’s. The reward is a spectacular descent returning you to the lake. 28th May – Stage 18: Melide – Verbania. After a transfer to Arona in the Piedmont area, you will ride from Arona to Verbania to watch the downhill finish of the stage. 29th May – Stage 19: Gravellona Toce – Cervinia. Ride of the day: 60km ride to the long mountain top finish of the stage. After the finish, transfer to our hotel in Cesana, La Ginestra. 30th May – Stage 20: Saint Vincent – Sestriere. Ride of the day: 120km ride to include Susa Col delle Finestre Sestrier, a well know mountain pass connecting the lower Susa Valley to Val Chisone in Piedmont. The north side of the pass is a long 18.5km challenging climb with an average gradient of 9.2% and includes 7.8km of unpaved road. 31st May – Stage 21: Torino – Milano. After breakfast, transfer to Milan to watch the end of the stage, with the peloton making a final 7 laps of a 6km circuit. 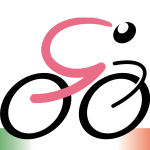 Followed by the festivities of the winners’ ceremony and the closing of Giro d’Italia 2015. We then celebrate with a farewell dinner in Milan. 1st June – End of the Tour. After breakfast transfer to Milano Malpensa Airport.